It's been more than two years since I first wrote about Clean Bandit and I've been keeping an eye out for their music ever since. It's taken a while but the London based quartet have finally released their debut album New Eyes. New Eyes is a fairly bland and rather safe album especially considering that the band members backgrounds includes classically trained musicians (Grace Chatto and Neil Amin-Smith), aswell as keyboard and bassist Jack Patterson’s Jazz background. The epitome of this is the song “Extraordinary” which is exactly the opposite of what the title suggests, it’s a dance track that would be of no help to a DJ that was trying to fill the dance floor. Although the album’s third song, “Dust Clears,” is not a bad one - the album doesn’t come alive until Clean Bandit’s first UK Number 1 single “Rather Be” comes through the speakers. It’s easily one of the best songs on the album, but then again there’s not much to compete with in terms of quality! The first 15 seconds of “Cologne” are probably the best 15 seconds that you’ll enjoy while listening to the album. The Dubstep rhythm and Javeon’s soulful harmonies suggest that something different is about to happen after the intro. “Cologne” turns out to be the best of the bog standard House tracks on the album, which include the album’s opener “Mozart’s House” and “Extraordinary”. I will never know the purpose “Telephone Banking” plays on the album, without it the album would probably be better. With it, the album has one more song to skip or miss downloading altogether. “Telephone Banking” is awful. If only more of the songs on Clean Bandit’s debut album were more like the title track “New Eyes”, it would have been a far better album. 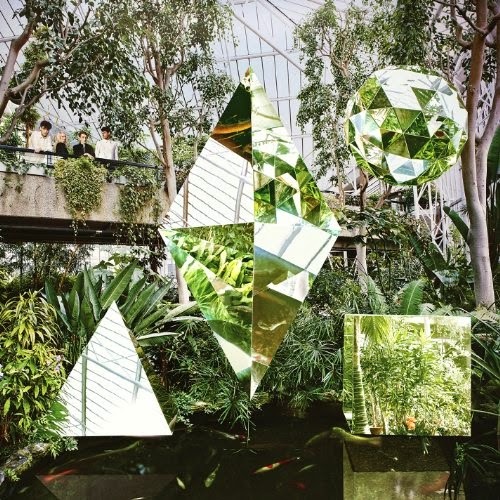 It is New Eyes’ best song; providing the perfect harmony that Clean Bandit are after between the Urban sound (in this case Bass Music) and the Pop world. Lizzo’s delivery is challenging at times, but it seems that that is more down to the song’s tempo than anything else. With many of the songs featuring guest vocalists and the production featuring various elements of the Urban umbrella, it is easy to draw the conclusion that this album is a lot like Rudimental's smashing debut album Home. But that is where the comparisons stop, if the two albums came from a family then New Eyes would be Home's younger cousin. It’s evident that Clean Bandit had more of an eye on the commercial audience than Rudimental did. But New Eyes is a lacklustre album, there is little here to engage or even excite the listener. Weak lyrics, unimaginative and generic production mean that there’s little to sing about on this album. Clean Bandit’s debut album New Eyes is out now on iTunes. You can stream the full album now on Spotify.